The Picture File is a collection that covers an expansive scope of visual history. With over 6,000 items spanning the 17th to 20th centuries, it is the kind of collection that makes mining the African American experience both exhaustive and exciting. This reality is best exemplified by the presence of this photograph located in the Geographic Series. 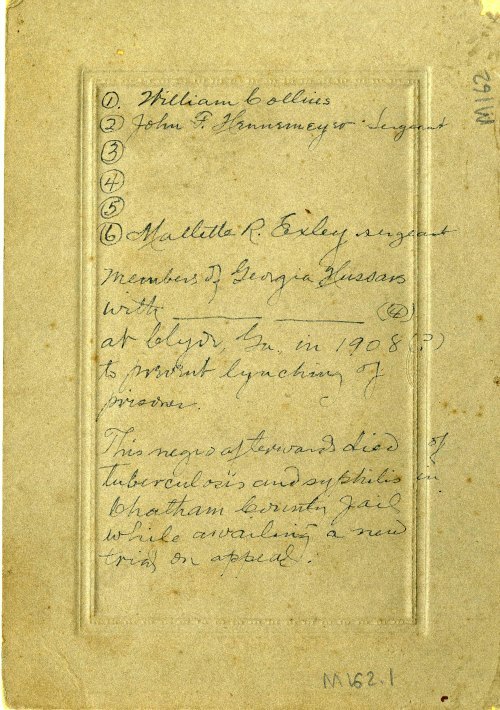 The historical record of local protection against the lynching of African Americans is indeed a controversial one. But this interesting image at least captures the actual presence of authorities standing guard against violence against this incarcerated man. 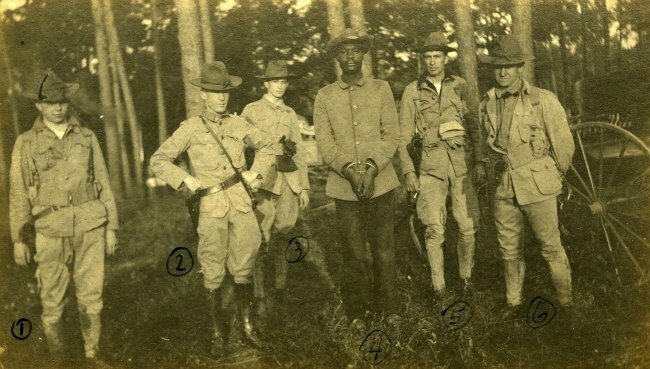 Post contributed by John Gartrell, Director of the John Hope Franklin Research Center for African and African American History and Culture. This is the third in a series of posts on interesting documents in our collections to celebrate Black History Month. Previous PostThe Power of This Story: Race, Class, Gender, and Sexuality in Durham 1960-1990Next PostNew Office Hours for the Medical Center Archives!